July 18, 2018. OTTAWA. 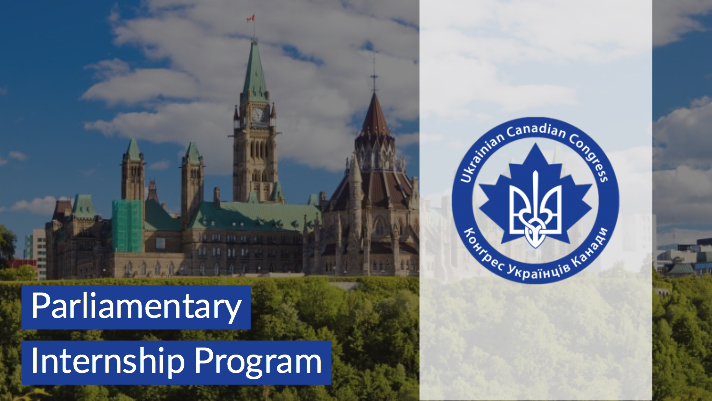 The Ukrainian Canadian Congress (UCC) is pleased to announce that due to the generous support of our community, the UCC Parliamentary Internship Program will be expanded to offer two internship positions for the upcoming year. This year the Shevchenko Foundation Ukrainian Canadian Veterans Fund will provide major financial support of $25,000 to the UCC Parliamentary Internship program. Additional program support has been provided by Ukrainian Credit Union Ltd, Paul and Adrianna Grod, Oleh & Bozhena Iwanusiw as well as many other individual donors. For the full list of supporters of the UCC Parliamentary Internship Program, please see here. 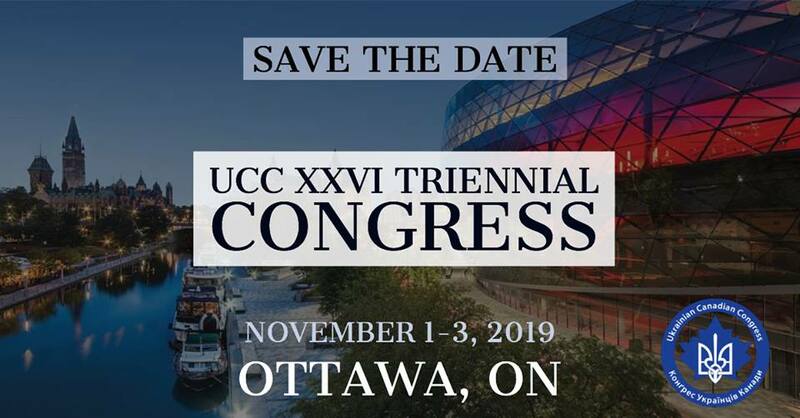 The UCC Parliamentary Internship Program was re-established in 2017, through a founding sponsorship by the Ukrainian National Federation of Canada (UNF). The UNF Paul Yuzyk Institute for Youth Leadership will continue to provide training to UCC parliamentary interns. The Parliamentary Internship selection committee included Krystina Waler (chair), Paul Migus, Borys Gengalo, Alex Ilchenko, and Halyna Paliychuk. The 2018 UCC Parliamentary Interns will work in the Ottawa Parliament Hill offices of two Members of Parliament, who will be announced shortly. Beginning their work this September, for a duration of ten months, their duties will include legislative support, research, communications and constituency work. They will have the opportunity to gain experience in all aspects of the federal governmental and legislative process. 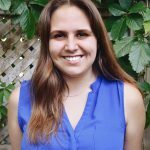 Larysa Lubka-Lewyckyj is currently completing a Master’s Degree in Canadian History and Canadian Foreign Relations at Carleton University, where she is also a Teaching Assistant. She completed a BA, Hon. at University of Toronto in history and political science. She has worked at the Ukrainian Museum of Canada – Ontario branch and served as a counsellor in Plast Ukrainian Youth Association. Volodymyr Palagniuk is a graduate of Chernivtsi National University (MA- Political Science) and the University of Toronto School of Continuing Studies. 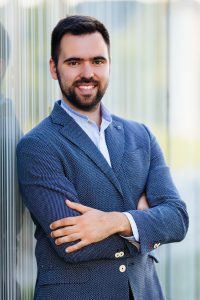 Volodymyr has worked in marketing, project management, and media. He has published several academic articles focusing on youth movements and politics in Ukraine and presented at academic conferences. He is currently pursing a PhD. In the Ukrainian community in Toronto, he has volunteered with the Ukrainian National Federation, UCC Toronto Branch, and managed Toronto Vyshyvanka Day. He has also taught at the Lesia Ukrainka community school. Together with our sponsors, we are still seeking interested individuals and organizations to contribute to the success of the Program, this year and beyond. Please consider donating to the UCC Parliamentary Internship Program by making a tax-deductible contribution by clicking here or at or by mailing at cheque to UCC C&E Trust (re Internship) to 203-952 Main Street, Winnipeg MB, R2W 3P4.